Cruises from Galveston Texas to Caribbean and Mexico. 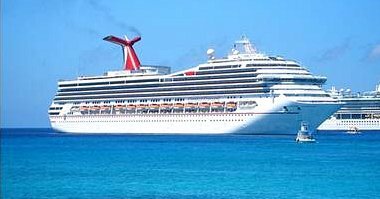 Cruises from Galveston on the magnificent Carnival Ecstasy is the beginning of an exciting journey to Cozumel, a tropical paradise which meets our expectations. First of all the party begins in the Carnival Ecstasy cruise ship. Many amenities are ready to entertain tourists. Swimmers enjoy the pool while waterworks and water slides are calling for attention. Be prepared to put on some weight on cruises from Galveston. Its not easy to bypass the abundance of food at the Role Royce Cafe and the other eating places. Shoppers will love the Galleria gift shops and the kids have a lot of fun time at Circle "C". 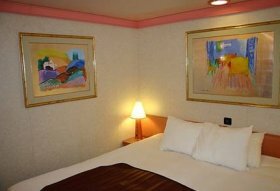 Carnival Ecstasy is the best family oriented Galveston cruise line. There is so much for everybody to do. Oh! Lest I forget about the bedrooms. They are very nice. Now lets go to the second fun place, Cozumel. This is the destination port for Carnival Ecstasy cruises from Galveston. Cozumel also known as the island of the swallows is the third largest island of Mexico. It is about 30 miles (48km) by 10 miles (16km) with a 71,000 population. The biggest city is San Miguel. I love this place. The air is clean, the sky is clear and the green vegetation is very rich. The size of the island is perfect for tourists to explore some attraction sites before getting back on board. Hop on an ATV and cruise through jungle and some Mayan sites. Drive the craziest adventure two-seater Xrail all-terrain buggy through jungle to Jade Caverns. Sail on a 65 ft. catamaran to Palancar Reef and Colombia Reef for snorkeling in Cozumel. 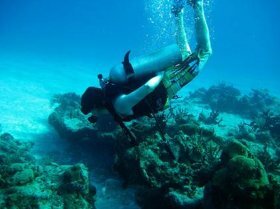 Cozumel is also a great place for scuba diving. There is enough time for that. Experience the clarity under the sea. Get close to underwater fish and mammals. Enjoy the white sand beaches, the Cultural and historical sites.Take note of the famous Chankanaab National park. It's a must go place. Learn some history and enjoy the lagoon beach there. Take the horse carriage around the city. It's very relaxing and there is a lot to see. The fees for these tours are not more than $100. Some are as low as $35. Take a look at the Cozumel shopping centers in the city center, the port and the hotel area. Remember to bargain for lower prices in individually owned shops. 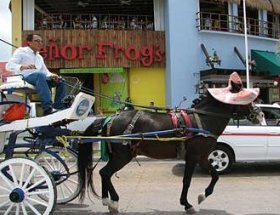 Tourists never miss great restaurants like Senor Frog's, Casa Denis, Pancho's Backyard, Fat Tuesday, Guido's and more. Eat good in Cozumel and have something to say about it back home. Carnival cruise ships from Galveston make sure their customers are well served on 4 days trips. Go on this Galveston Tx. cruise. It will be a dream to go back again and again. Also remember to arrange for a nice hotel in Galveston or Galveston motel before traveling for Galveston cruises. Take some time to explore the rich attractions, the Strand shopping center and some fabulous seawall restaurants before embarking on cruises from Galveston.